If your credit score is lower than you’d like you may want to try to improve it. Increasing your credit score can be a long process. When you want to improve your credit score, start by looking at your current spending and credit habits. The most important thing you can do right now is to create a budget. Your budget should include all your monthly income as well as all your debts. In order to improve your credit score, you’ll need to make all of your monthly payments on time. This includes all credit cards, car loans, mortgage, utilities, and any other debts that you owe. If you can make sure that you don’t have any late payments or missed payments for a year it will go a long way towards helping to improve your credit score. Check your credit report to see that it is correct. There are three main credit reporting companies and you should check your credit report from each of them. It is quite common for them to have different information. If you find any problems with your credit report you’ll need to file a dispute. The dispute will enable you to work with the creditor to resolve the issue one way or the other. You’ll need to keep copies of all your credit card statements, bills, and payments in case there are any problems. If you have a high number of credit cards you may want to consolidate your payments. A consolidation loan will pay off your credit cards and give you one easy monthly payment. This effectively closes your accounts, however, so you’ll want to be selective about which ones you close. Check the interest rates charged on your accounts and get rid of the ones that have the highest rates. Working with a credit resolution company can be helpful. An expert will work with you to review your credit report. Then recommendations will be made that will help you improve your credit score. The expert is also able to help you get a consolidation loan and will work with your creditors to legally reduce the amount of money that you owe. In many cases, the expert will be able to assist you in reading the credit report and advise you on which items you should pay first in order to get your credit score back on track. 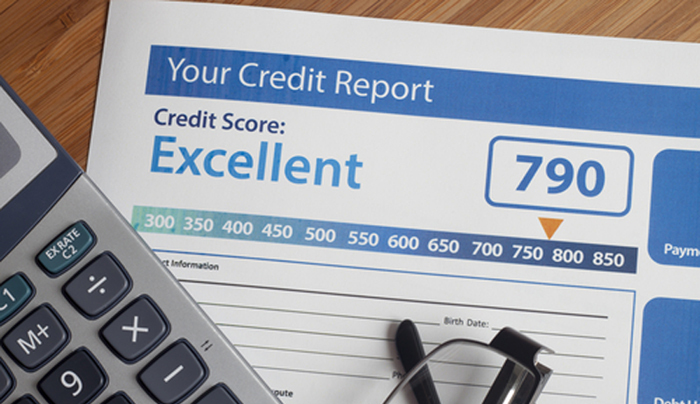 An improved score will help you obtain lower interest rates and maintain good credit over time. A judgment can have a serious affect on your credit score, and it will often attach to your home and to other personal assets. Repossession is another problem that many people face when they buy things that they cannot afford. Sometimes, it is through no real fault of their own. A lost job can quickly cause someone to fall behind on car payments. No matter the reason, repossession can wreak havoc on your credit report. The preceding items that you may see on your credit part are the reasons that most people have trouble with credit restoration. It is important to get as many negative items off your credit report as possible, and it is always a good idea to start with the biggest problems first. Fix your credit the right way. Keep paying your bills on time and dispute those charges on your report that are incorrect. It might take some time, but you can repair the damage. Credit scores are not accurate. According to some reports, up to 80 percent of all credit reports have errors in them. Many of those errors can affect your overall ability to qualify for a loan or to get a low interest rate. In many situations, in fact, you may have a credit score that is far lower than what you should have. That is costing you money. You can fix your credit score fast, simply by knowing that you have to check your score and doing it regularly. You should not wait long before checking your score. – Someone has to enter information into a computer about things like when you made your payments or how much you owe. That information is then sent to the credit bureaus. – The information is automatically added to your credit report. The credit report then displays this information to any creditor who requests it. – There is no check here. There is no internal method of ensuring the information on the report is accurate. Because of this, there is no way to know if what is being reported about you is in fact true. – A creditor reports the information about your credit usage for the month. It is uploaded automatically into the system. It is automatically displayed in your credit file. How to Fix Credit Score If you look at your credit report, you will find errors. Many people do. And, you have the right to remove those errors from your report. To do this, you will need to file a dispute with the credit agencies that will then be forced to verify the information with the creditor. If the information cannot be proven, the inaccurate data is removed from your credit file. However, it is up to you to do this. Because it is so easy for errors to appear on your credit report, it pays to take the time to verify that all of the information contained in it is accurate. Doing this protect your credit report and your ability to obtain credit down the road. Many people are suffering with financial problems. One of the problems associated with financial difficulty is a reduced credit score. If you have a low credit score there are some things you can do to improve credit. First, it’s important that you understand how credit scores work so that you can more easily try to repair yours. It’s always easier to lower your score than it is to raise it back up. This can take some work and time. If you have a high debt to credit ratio it can be bad for your credit rating. For example, having too many credit cards can actually lower your credit score. One way to improve credit is by paying down the amount you owe on your credit cards. This will help to lower the amount of interest you pay and can save you thousands of dollars over the life of the loan. Make payments that are higher than the minimum amount, even if it’s just a little each month. Reducing the amount of money that you charge on your credit cards will also help you to improve credit. Try to keep your credit cards at less than 50 percent capacity. For example, if you have a credit limit of $3,000, don’t charge more than $1500 on it. This will help keep your credit in the right place. Some people think that they can improve credit by closing all of their credit card accounts. This is actually not true. In fact, closing your cards will actually hurt your credit if it isn’t done properly. Working with your credit score and your financial accounts can be a daunting task. It can be helpful to work with a professional company such as Lexington Law that specializes in this and has legal experts that will work ok your credit profile. An expert will read your credit reports and provide you with a recommendation for how to improve your credit score. The expert will also work with your credit card companies to legally reduce the amount of money you owe. They will also let you know if a consolidation loan is something to consider in your case. Once you have your credit report in front of you, start looking for errors and other negative items. Make a note about the different items, and then send a letter of inquiry requesting deletion of the items to the credit bureau. The bureau will then contact the creditor in question. If the creditor doesn’t respond within 30 days, you will have those negative marks and errors removed from your report. It is an easy way to fix credit fast, and it works in a surprising number of cases. the questions below for more information. does the law say about repairing your credit? really do what they say they can do? getting new credit lines, mortgages, etc.? Why is it so common to hear that bad credit can’t be repaired? Credit is a way of life in America. thousands of Americans who have repaired their own credit? consumer lay completely at the mercy of the credit bureaus. thirty days or be forced to remove all disputed information. takes credit repair companies years to learn. In fact, U.S.
the contrary, you can repair your credit. and numerous “included in bankruptcy” listings. underway, you can turn attention to adding positive credit. only good for the company’s limited line of merchandise. cards are designed to help you to repair your credit. repair can slip even further behind. Click Here to Learn More about Credit Repair.